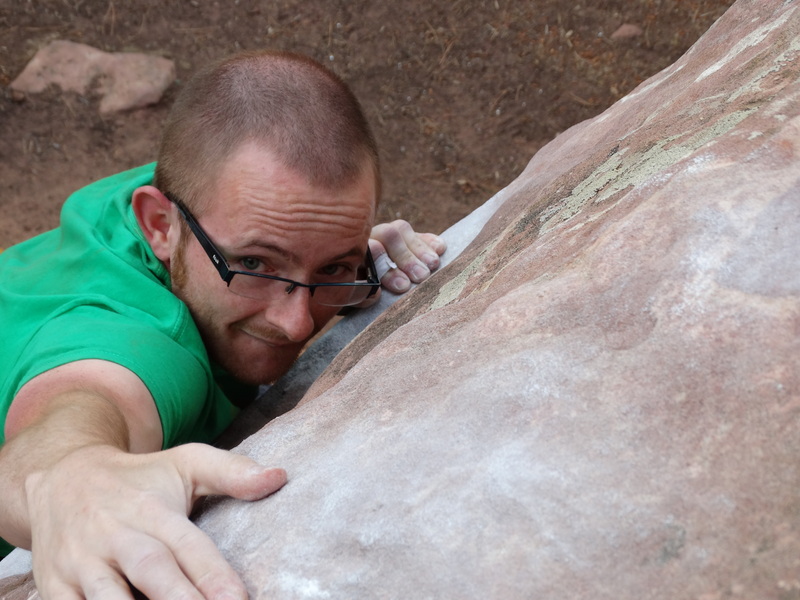 This article was initially sent to UKClimbing.com to hopefully be published on there. After several weeks hearing nothing from them, i decided that an article damning the content of climbing media probably wasn’t something they would be likely to publish. So i’ve posted it on here. Please share if you agree. The spirit of climbing is surely in adventure and exploration and while history and heritage are important, i believe we must strive to continue to search out what is new. Rant time. I had something else penned for my latest blog post but it’s gone on the back burner now as i have finally reached breaking point. My message to the media: NO MORE YOSEMITE. As is often typical when you’re really angry, i don’t know where to start but i do know it’s been slowly building, this disgruntlement towards one of the world’s most iconic crags; and that leads me into my first major point: one of the world’s most iconic crags. Not the “world’s greatest crag” (see opening paragraph), one of, as there are so many that surely it would be impossible to pin Yosemite as the best of them all. I’m a boulderer and while this Californian gem does boast some great granite blocs and iconic lines such as Midnight Lightning, does it beat Fontainebleau? I would be incredibly surprised. The thing is, it seems that all other places and people drift into obscurity when a film, story or article about Yosemite come up. The straw that broke the camel’s back for me was this article, following on from the recent Reel Rock film, Valley Uprising (and i’ll talk more about that later). Some of it’s comments i would not argue with, and loudly applaud – “Royal Robbins and Warren Harding are true American pioneers in every sense”? Most definitely! “Royal Robbins, the architect of our entire sport [climbing]”? I’m sorry, no, not in the slightest. To even think that is to do the utmost disrespect to so many other truly great climbers over the last 100 years (at least): Fred Nicole (French), Jerry Moffatt (British), Kurt Albert and Wolfgang Gullich (German), Reinhold Messner (Italian), Sir Edmund Hillary (New Zealand), these are just a few people who have been at the pinnacle of the sport of climbing and have sculpted it into what it is today. Am i saying that Robbins, Harding, Yvon Choinard, Lynn Hill, Ron Kauk, John Bachar et al have not achieved, have not pushed standards? Most certainly not, i’m suggesting that to put such focus on them alone is like to conduct worldwide anthropology by only looking at a small country. Like Liechtenstein. I’m sure everyone mentioned above would agree. Yosemite has claims to history too, and good ones at that, this famous big wall. It shunned aid climbing techniques in favour of free climbing, a truly honourable philosophy to adopt but by no means unique. Britain had long since adopted free climbing, using leader placed protection, harking back to the times of Joe Brown and Don Whillans (again to name but two prominent figures), Kurt Albert and his European counterparts had already invented sport climbing as we know it in the Frankenjura, and that’s not even touching on the Czech school of thought – any metal protection is completely out, replaced by only knotted ropes. I’ve seen countless films about the Valley. I’ve seen one on climbing in Czech. It wasn’t even the focus of whole film. This is forgotten so often by the American climbing press who seem so Valley-centric that it begins to grate. That article again, when referring to the “Stonemasters” of the 60s and 70s states “the Stonemasters are the nucleus of our sport” but it’s simply not true – they are a small stone in a vast building. An important one but by no means alone. The Stonemasters were apparently followed by the Stone Monkeys, from 1998 to the present. Strange really, considering the term comes from the film Stone Monkey, showcasing Jonny Dawes on British classics, climbing in a way no-one had seen before (and rarely since) came out in 1986 and was even shown on terrestrial television back in a time when there were only four channels. And still the Yosemite films continue. Looking at the list of Sender films, i can count a 45-minute section on Alex Honnold in Reel Rock 7, a first appearance of Tommy Caldwell and Kevin Jorgeson on the Dawn Wall in it’s prequel, Dean Potter BASE soloing and Ueli Steck speed climbing in Reel Rock 2010, The Pirate doing his Aid climbing thing and Tommy Caldwell again in the Sharp End, and that’s missing out yet another history of The Valley and the Nose speed record in Reel Rock 2011. Even on Sender films own website, you have to scroll all the way to the end of the list to find the films Wideboyz and the award winning Cold. Big Up Productions follows suit, with Progression, First Ascent: The Series and four of of the eighteen films in the Dosage series all dedicated to the same place. That might not sound like much but it’s more than 20%. On one valley. I thought we were finally moving away, and making progress last year when Yosemite didn’t feature at all, Stonemasters merely advertised as an extra. It turns out that’s only because it stole the whole of the next film. Reel Rock 9 is renamed as Valley Uprising and while i admit i have not yet seen the film, it’s contents are not difficult to search out. It tracks the history of the Valley through the very first ascent to pushing modern standards and i must admit, it does have a unique history. In truth, i have no problem with this as a notion – aux contrare, it is indeed welcome to have these sorts of films. But not as the Reel Rock Tour; this film (good though i hear it is) should’ve been released as a separate entity, giving Reel Rock’s followers the choice to embrace or ignore Yosemite while keeping up with the latest cinematogrophy of the sport we love. 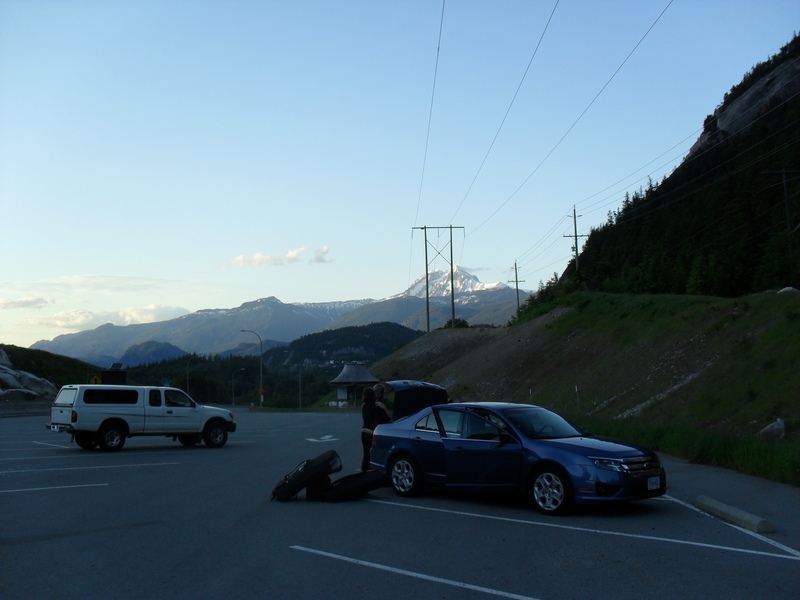 On their own website, it states that “The Reel Rock Film Tour brings the best climbing and adventure films of the year to live audiences throughout the world”. Are you honestly telling me there was nothing else worth showing? And that in a year when so much has happened, with new ascents at top grades all over the world. (i was going to elaborate on some of those stories but while searching for main headlines from last year, ended up on the Rock and Ice website and was confronted by “GET THE DAWN WALL SPECIAL ISSUE” and gave up searching). Tommy Caldwell and Kevin Jorgeson’s first free ascent of the Dawn Wall is without doubt incredibly impressive, at the cutting edge and probably newsworthy in the mainstream but the amount of airtime and column inches it has received is staggering and further adds to the frustration. When a non-climbing friend posted me a link on Facebook, i neglected to click, not wanting to read about the sport i love by people who do not know it. An old housemate posted a reply “You should go to Yosemite Pete! 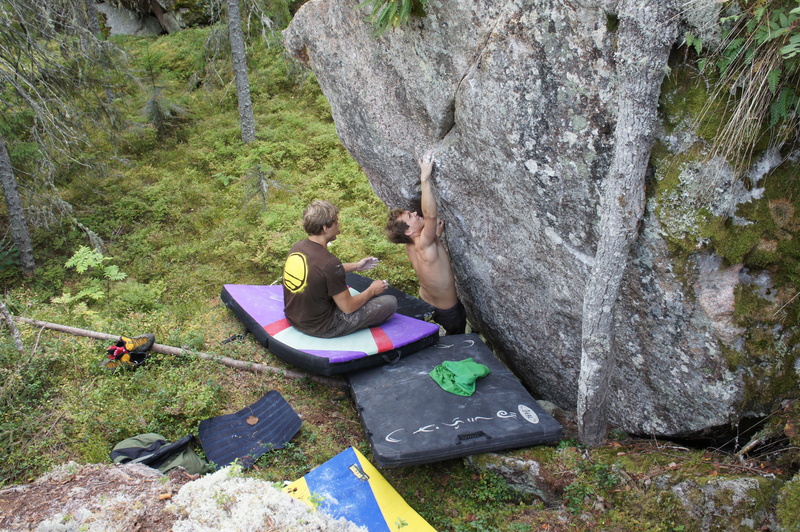 The bouldering is mint – and then you wouldn’t get so tired of it”. At the moment, i really don’t want to. Much like when non-climbing friends assume that you would automatically want to climb Everest, for me Yosemite is one of those cliches that i think i would rather avoid. For everything it has, somewhere else has it better. History? Please, i live in the UK where climbing goes back to the 19th Century. 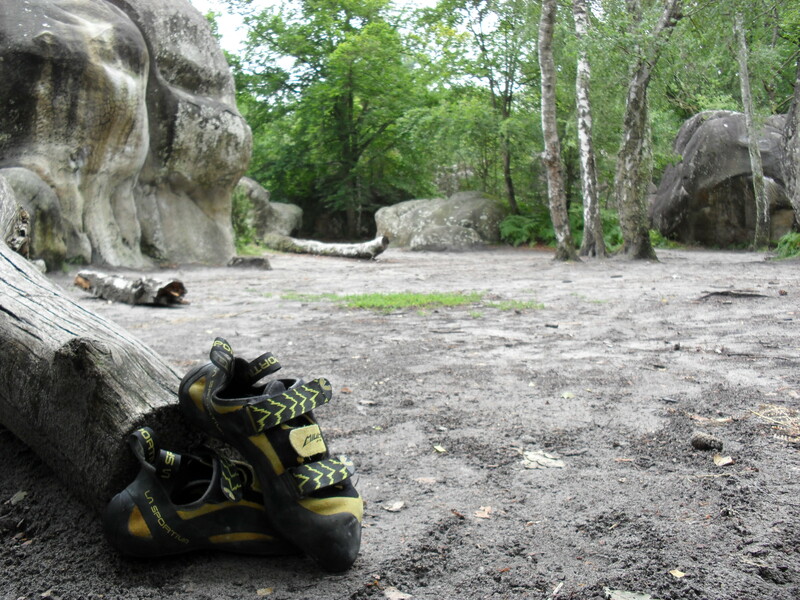 Rock climbers for climbing’s sake? [Shrugs] I’ll go the Peak and repeat some of JW Puttrell’s routes. Mavericks who won’t listen to the rules? Erm, the slate quarries in my village have enough of a history of that, continuing to this day. And all of that is without crossing any seas or oceans.That’s not to mention the history of the Alps, Bleausards at all or the dirtbag scene of Australia that was there all along. I’d rather do big walls in Norway, trad in Scotland, sport in Spain or bouldering in the Alps than spend a fortune to go to California right now. The only way that will ever change is if you leave the place alone for a while. Until the next generation perhaps. The spirit of climbing is surely in adventure and exploration and while history and heritage are important, i believe we must strive to continue to search out what is new.